For a few years now, Microsoft has provided pretty much the same types of migration for organizations to use to migrate email data to Exchange Online in Office 365 from on-premises messaging systems, be that Exchange or not. Additionally, end users themselves can also import their own email, contacts, and other mailbox information to an Office 365 mailbox created for them, but that’s typically only used in very small migrations. Part of the migration process, excluding some third-party migrations, is the configuration and use of one or more Exchange Online migration endpoints. These are simply a connector from Office 365 to the on-premises email system, and that’s what this article focuses on. But before exploring these endpoints in more detail, let’s have a quick recap of the available migration methods provided by Microsoft. Office 365 supports several methods to migrate email, calendar, and contact data from an existing messaging environment to Office 365. Since a migration endpoint is used in all these migration methods, it is important to understand them. Due to the huge number of articles already on the Internet regarding migration methods, and because this is not the main focus of this article, the following is just a high-level overview. For environments running Exchange 2000 or earlier (I really hope there are none out there by now! ), or for non-Microsoft email systems such as Gmail or Yahoo Mail, we can use IMAP to migrate data into Office 365 mailboxes. This type of migration is called a cutover Exchange migration because all on-premises mailboxes are migrated to Exchange Online in a single migration batch. Using a cutover migration, administrators migrate all on-premises mailboxes to Exchange Online over a few days, depending on the volume of data. A cutover migration is used when we plan to move the entire email organization to Office 365 and manage user accounts from there. We can migrate a maximum of 2,000 mailboxes from our on-premises Exchange organization, but the recommended number is 150 as performance suffers with numbers higher than this. These numbers don’t mean that organizations with less than 2,000 mailboxes must choose a cutover migration. If an organization wants to migrate their users in smaller batches instead of one big batch, then a cutover migration would not be suitable. A staged migration is used when we plan to eventually migrate all mailboxes to Office 365. Using a staged migration, we migrate batches of on-premises mailboxes to Office 365 over the course of a few days, weeks, or months. For this migration, we must synchronize accounts between the on-premises Active Directory (AD) and Office 365 by using Azure AD Connect. A hybrid deployment offers organizations the ability to extend the feature-rich experience and administrative control they have with their existing on-premises Exchange organization to the cloud. It provides the seamless look and feel of a single Exchange organization between an on-premises Exchange and Office 365. In addition, a hybrid deployment can serve as an intermediate step to moving completely to Office 365. As with a staged migration, we must synchronize accounts between the on-premises AD and Office 365. Express migration: The newest option Microsoft has added is the express migration. This is the path in the Hybrid Configuration Wizard that will benefit smaller organizations or those that truly want to move to Exchange Online over the course of a couple of weeks or less. If organizations have a need to keep directory synchronization in place, then this is not the option. 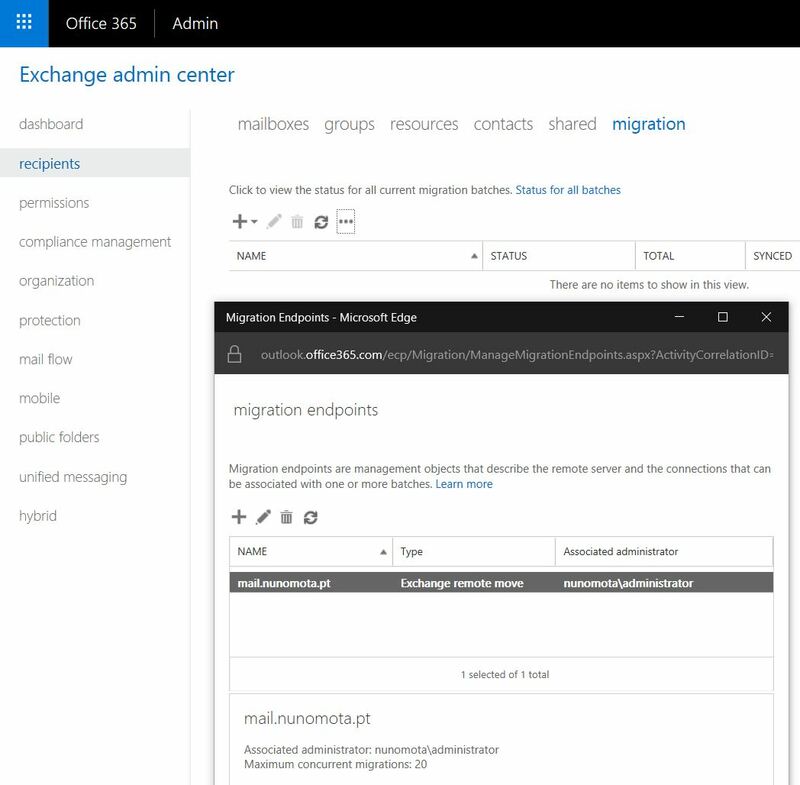 Express migration will configure users and walk admins through the new migration experience to get the mailboxes to Exchange Online with minimal disruption for users. With the express migration option, we get a onetime directory synchronization of users along with the minimal hybrid configuration to allow admins to perform the migrations. After that initial synchronization of user accounts, directory synchronization will be automatically disabled in both Office 365 and on-premises. This gives small and medium organizations that would have previously perform a cutover migration the ability to get the benefits of the hybrid migration without the overhead. There are many tools available from third parties, each using different protocols and approaches, to conduct email migrations from email platforms like IBM Lotus Notes, Novell GroupWise, or even Exchange, to Office 365. Although not relevant for this article as it does not use a migration endpoint, organizations with many large PST files can also use the Office 365 Import Service to migrate email data to Office 365 by either uploading PST files through the network, or by mailing the PST files in a drive to Microsoft. What do all of these migration methods have in common? A migration endpoint. To move the data itself, Office 365 needs to connect and communicate with the source email system on-premises. 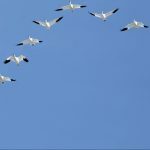 To do this, Office 365 uses a migration endpoint: a management object in Exchange Online that contains the connection settings and administrator credentials for the source server that hosts the mailboxes that we want to migrate to Exchange Online. For certain migration types such as a cutover or staged migration, the migration endpoint also defines the number of mailboxes to synchronize and migrate. In Exchange 2010, the MRS service runs on the CAS server. 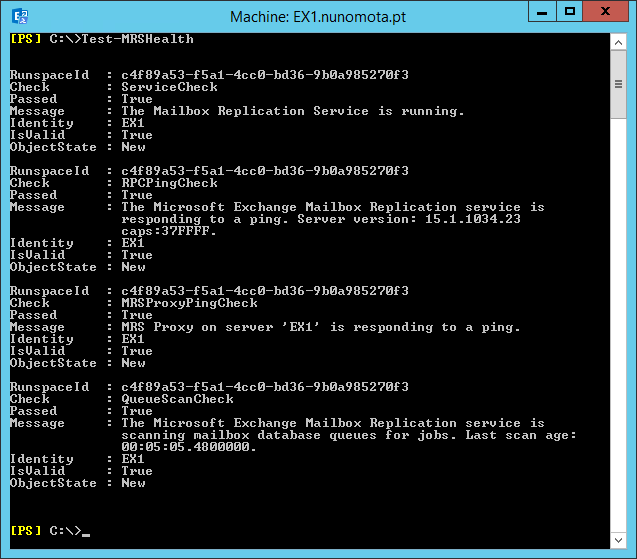 In Exchange 2013, MRS runs on the Mailbox server role; during cross-forest and remote move migrations, a Client Access server acts as a proxy for incoming move requests for the Mailbox server. In Exchange 2016, due to its new architecture where the Mailbox server integrates both CAS and Mailbox roles, the MRS service runs on the Mailbox server and the CAS role acts first like a proxy, as in Exchange 2013. Before proceeding, it is recommended to use the Test-MRSHealth cmdlet to test the health of an instance of the Exchange Mailbox Replication service. This needs to be run on the on-premises Exchange server that we want to test. It is also recommended to test the connection settings to the server that hosts the mailboxes that we want to migrate. The connection settings will be tested when we create a migration endpoint, but verifying these before creating an endpoint will give us an opportunity to troubleshoot any issues beforehand. The best way to verify that the MRS Proxy endpoint is enabled and working is to use the Test-MigrationServerAvailability cmdlet from Office 365 side to test the ability to communicate with the remote server that hosts the mailboxes that we want to move. The following example tests the connection to a server in the techgenix.com forest. The ExchangeRemoteMove parameter specifies that we plan to perform a cross-forest move or migrate mailboxes between an on-premises Exchange organization and Exchange Online in a hybrid deployment. One final test is to browse to the MRSproxy external URL, which can help confirm that the MRS proxy URL is reachable from outside the network. Since MRSproxy endpoint runs under Exchange Web Services, it is expected that all the MRS requests will be encapsulated in EWS calls, so the URL should have this format: https://mail.techgenix.com/ews/mrsproxy.svc, where mail.techgenix.com is the external URL for the EWS service. If MRSproxy service is accessible from outside the network, we should receive a credential prompt. If we don’t, this indicates that the EWS service is not accessible externally. There are several factors that can prevent the incoming MRS calls from reaching the destination server, the most common being firewalls. As such, ensure that your firewall allows incoming connections on URLs containing /ews/mrsproxy.svc on port 443. If you are using IP filtering, make sure you have the updated Exchange Online IP list in the firewall configuration. Finally, note that if your firewall requires pre-authentication or you are using a solution that performs SSL offloading in front of CAS servers, these configurations are not supported in remote moves scenarios; this is because the on-premises MRS expects to receive the incoming traffic over port 443 with SSL encryption and it refuses the connection if these conditions are not met. If you are certain that the firewall is not the problem, you can check further if the incoming MRS calls have reached out to their correct destination by checking the IIS logs on the CAS servers. When running Exchange 2013/2016, and if you see the MRS requests on the IIS logs from CAS servers but are not sure about where the issue might be, you can extract more information from the HTTP proxy logs for EWS located at C:\Program Files\Microsoft\Exchange Server\V15\Logging\HttpProxy\Ews, as well as from the HTTP error logs located at C:\Windows\System32\LogFiles\HTTPERR. When we manage to successfully run the hybrid wizard, one would expect to have the same success when creating the migration endpoint. This is a wrong expectation because, in some cases, firewall configuration (URL filtering or IP restriction), might cause the endpoint creation to fail. IMPORTANT: This on-premises user account that you use to connect to your on-premises Exchange organization during the migration (called the migration administrator) must have the necessary permissions to access and, in some cases, modify the on-premises mailboxes that you want to migrate. To successfully create a migration endpoint (or create a migration batch if no migration endpoints exist in your Exchange Online organization), the migration administrator must have the necessary administrative privileges in your on-premises Exchange organization. For example, for a remote move migration in Exchange hybrid deployments, the migration administrator account must be one of the following: 1) a member of the Domain Admins group in the on-premises AD, 2) a member of the Exchange Recipients Administrators group in the on-premises AD, or 3) a member of the Organization Management or Recipient Management group in Exchange 2010/2013/2016. Please note that if the account specified expires, or if you change its password without updating the endpoint, any migrations will fail as the endpoint is unable to use those credentials. In this case, when moving mailboxes using New-MigrationBatch we can use the SourceEndpoint parameter to specify the endpoint we just created. Note: At the moment of writing this article, the Express Hybrid Migration only supports one migration endpoint. If there is more than one endpoint, Office 365 will choose the one created by the hybrid wizard. In this example, we used the MaxConcurrentMigrations parameter to specify the maximum number of mailboxes that will be migrated for this endpoint at a specified time. This parameter is applicable for all migration types. Exchange Online migration endpoints are a vital component for any Office 365 migration. They allow Office 365 to communicate with an on-premises Exchange environment in order to extract and migrate the data. Before creating a migration point, or let the wizard create one for you, it is important to enable the MRSproxy, ensure it works without any errors, and confirm that from Office 365 you can with the MRSproxy external URL. Once all of this has been set up, you are ready to migrate your data! Though I have completed my current project using a third party named Shoviv email migration. But this step by step guide helps to clarify every concerns and proceed further in safer way. ( The email address ) ,Failed,0,0,The user '[email protected]' already has a pending request. Please remove the existing request and resume the current batch or start a new batch for this user. --> Mailbox ' XXXXXXXXX' is already being moved to 'EURPR05DG074-db085'. It seems you already have a migration batch that includes that same user, isn't it? for now I have not migration batch includes this user.